When the economy is struggling, saving money on household items is always a plus. Cheap furniture doesn't have to mean poor quality or ugly furniture. You just need to know where to shop to find good bargains. Loveseats are a good option for affordable furniture, especially if you're trying to furnish a small space. A loveseat will usually take up less room than a sofa or two recliners with an end table in between. Walmart: This well-known department store has good prices on a variety of different styles of loveseats. Some of the best deals are online only and can't be found in Walmart stores. You can save even more money on shipping costs by selecting site to store, where you order online and then pick the item up at your local store. Home Reserve: This retailer has loveseats starting at just under $250. You can choose from nine different loveseat shapes and from there go on to choose your fabric and pattern. You can even choose pet-friendly fabrics. Overstock: You can find good deals at Overstock on discontinued or close out items that this company buys from other manufacturers and sells to the public at discount prices. No matter how big your item is or how much you order, shipping is always $2.95. Cool Sofa: This retailer offers a great selection of contemporary and modern style loveseats in a variety of fabric options, including vinyl, microsuede and leather. Prices start at under $300. Online shopping portals are a great way to comparison shop for products like loveseats at one site. 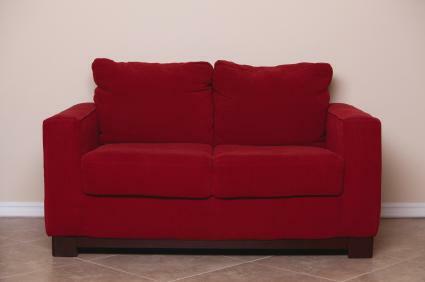 The shopping portal will list loveseats for sale, the prices and where to find them. If you're looking for cheap loveseats in your local community, you may want to consider purchasing used furniture. Consignment stores: A consignment store allows private sellers to bring furniture into the store and have it on display for sale. The store collects a commission on the sale. This type of store is a good resource for quality used furniture. Charity thrift stores: People regularly donate furniture, clothes and other items to charities like the Salvation Army and Goodwill. The donation is considered a tax write off, so you can find decent furniture items at these types of stores if you check often. Good furniture will sell very quickly at charity stores such as these. Yard sales: Plan to get an early start if you want to shop for loveseats at yard sales. You can find great deals on furniture at local yard sales, but the good items will go fast. Swap meets/flea markets: Check your local swap meet or flea market for new or used furniture. Newspaper ads: You may also be able to find a good price on a used loveseat in your local newspaper's classified ads. Some stores also advertise sales and coupons in flyers that are mailed, usually once a week. Another alternative to buying a new loveseat is covering your existing loveseat with a new slipcover. You can find different styles of slipcovers, such as one-piece or three-piece covers, and you can choose from a variety of colors and fabrics. Visit Sure Fit to browse for loveseat slipcovers. When you are ready to update the look of your living room furniture, try these suggestions to find an inexpensive, affordable loveseat without breaking the bank.